The fishing on area lakes and rivers has really started to heat up. The days have finally started to feel like NC weather should in June. And with weather trending warmer a few select target species have begun to feed heavily. 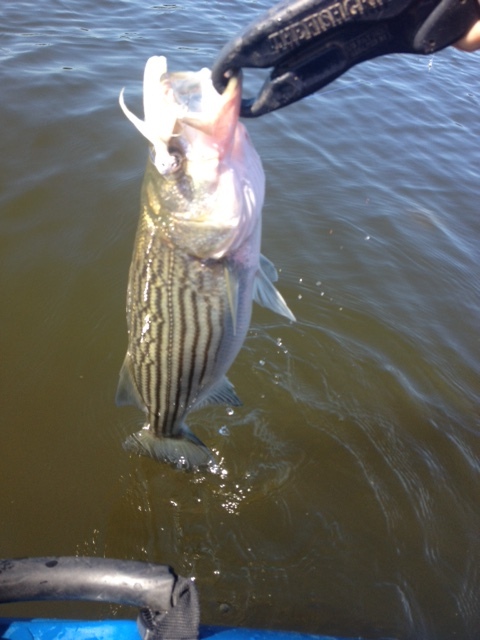 Striped bass are schooling on area lakes. 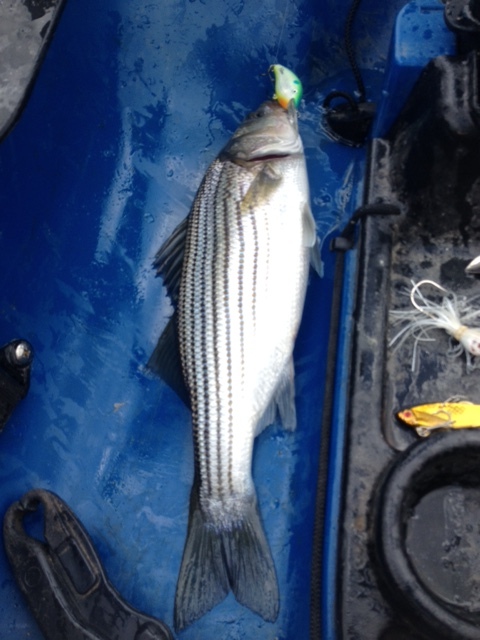 Anglers are reporting good catches on Kerr, Gaston, Badin and the rest as well. The fish are shallow early, but move deeper as mornings progress, and the same can be said for the evening in reverse, from deep water in towards shore. 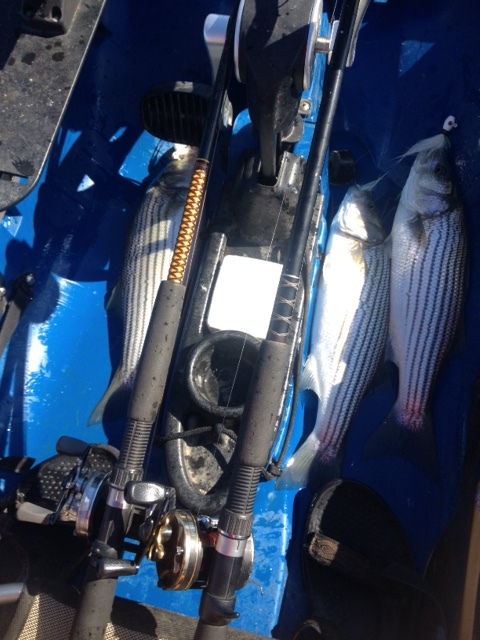 Fish are feeding in as shallow as 5 feet of water on top water plugs and small crankbaits early. 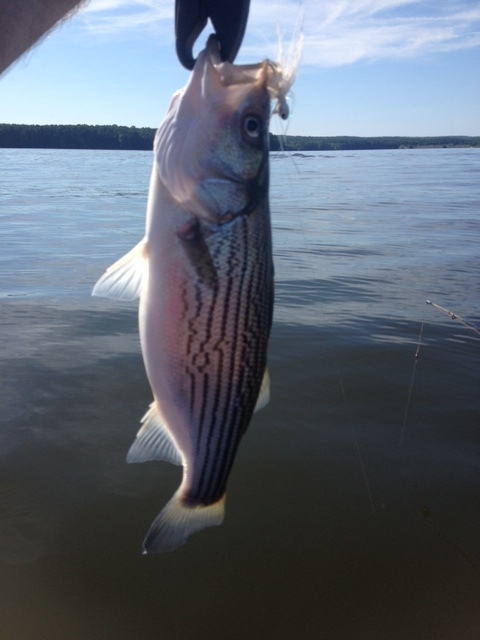 During the later parts of the early AM hours they will begin moving into deeper water and are taking bucktails readily. 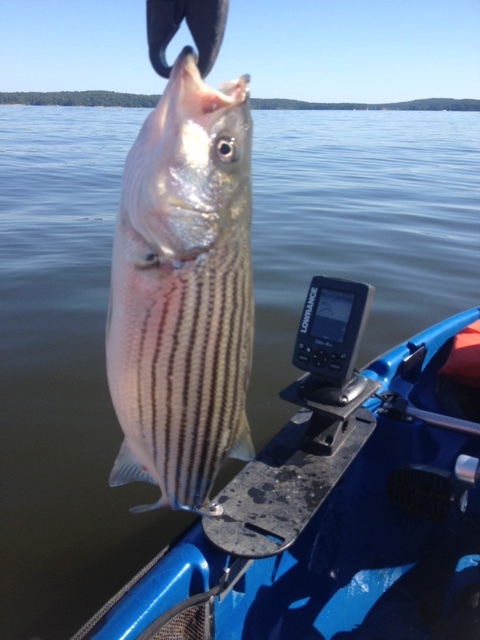 I’ve already had multiple doubles and triples consisting of stripers, white bass, catfish, perch and bass. These tactics can be used on all the lakes in our state to catch these fish and the action is on fire right now. If you’d like to know more about the colors and styles I like to use comment after the report on the site and I’ll be happy to help you out with your questions. 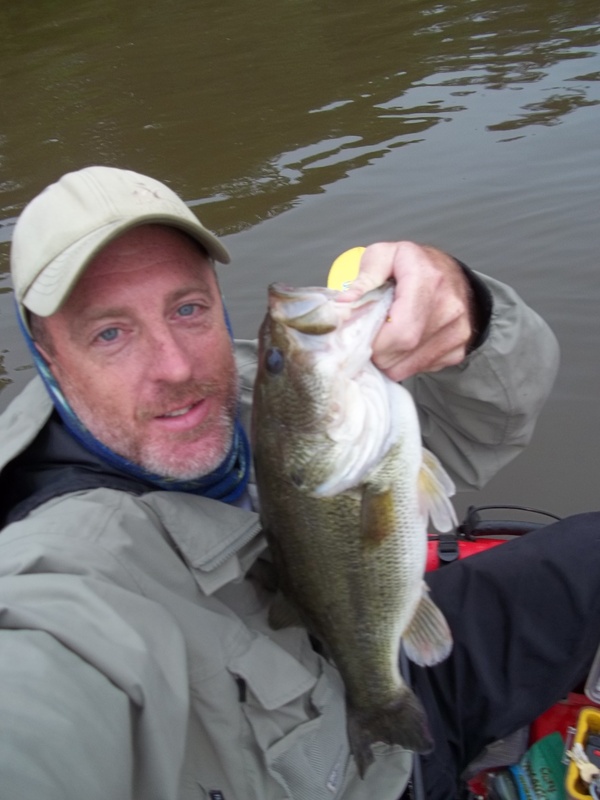 Largemouth bass are post-spawn, but they can be caught early with soft plastics and smaller action baits, but the frog bite is still a bit slow from what I’ve seen and heard. It shouldn’t be long though and we should see bass begin feeding heavily again. Of course the river is always a great place to catch bass when our temps rise in NC. Catfish and gar are also starting to feed more often. Early and late as well as overnight of course, but they are feeding much better on rivers than lakes at present. And I would expect that trend to continue, at least as far as catching during daytime hours, for the remainder of the season. 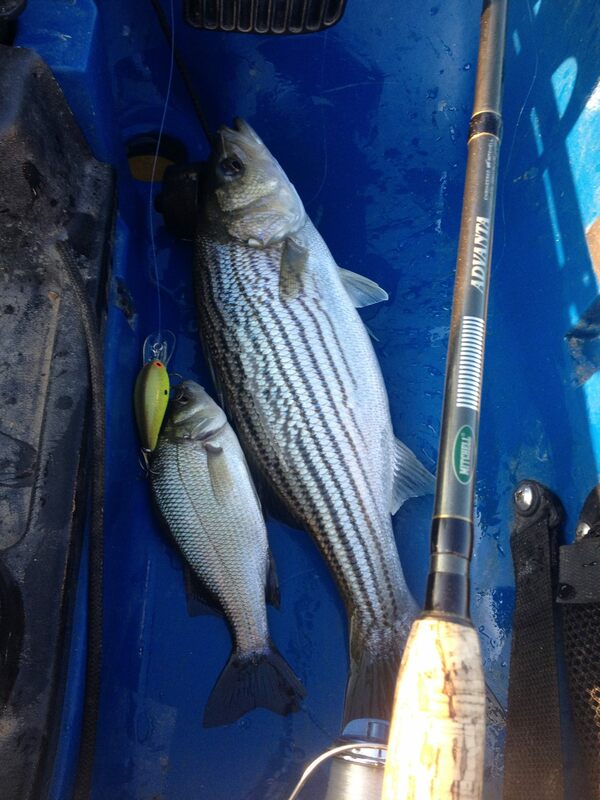 These fish are taking live and cut bait fished with Carolina-rigs on the bottom, or with floats if the area you fish is rocky. 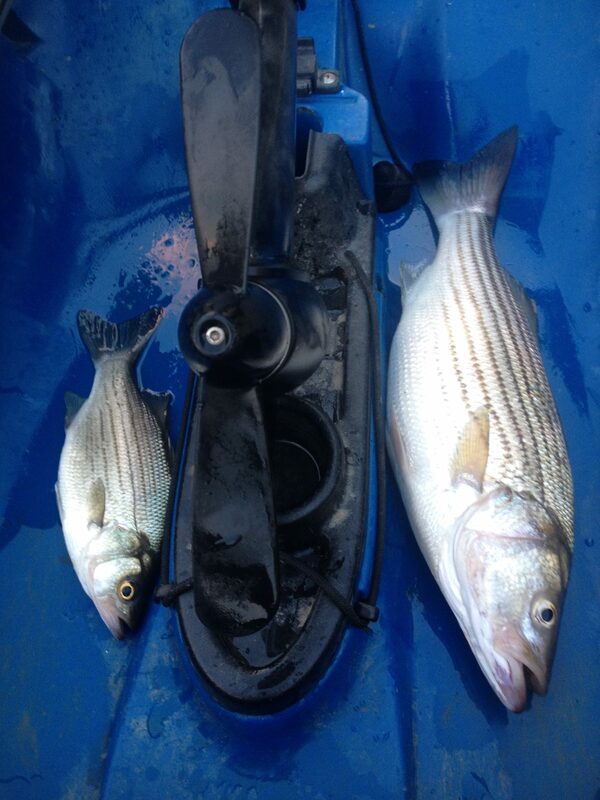 Shad and shiners, as well as livers will work. Here are some more pics from Friday after work. 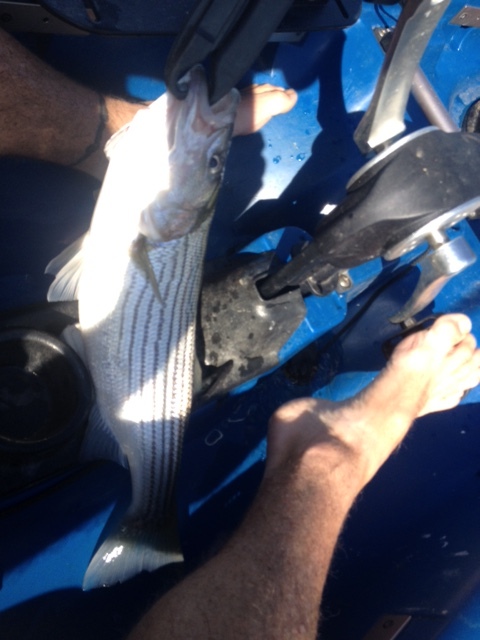 I stopped counting fish and actually got worn out to the point I left biting fish. And that rarely happens. But I was trolling through heavy boat wake the entire time and for a two-and-a-half hour period I caught at least 1 fish per pass on a point where I found them. It was epic. Ok, now you’re just getting cocky. 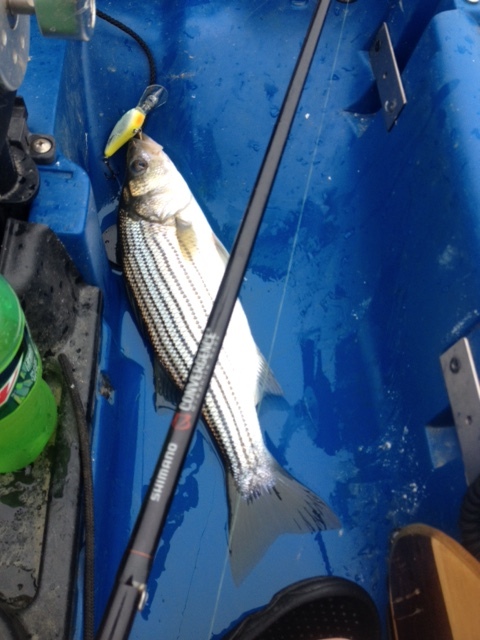 Followed the Link over from ncangler, Good Write up Thanks for sharing. Thanks Darrell. I appreciate the visit and hope you get something out of the report. What’s your handle on NCangler?